5. Providing customer service to existing customers. 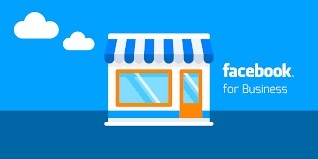 In Today’s blog, we will share the Top 10 tips that small businesses can use for Facebook Marketing. Many Small Businesses think that if they post on their Facebook profile once in 6 months generally during the festive season for season’s greetings that is enough. This is due to the ignorance regarding “Organic Reach”. Organic Reach is defined as the number of people that your post on Facebook will reach through the platform without the use of any ads. In the past years this was sufficient but now Facebook is too cluttered & the organic reach of your post to your audience has gone down drastically. 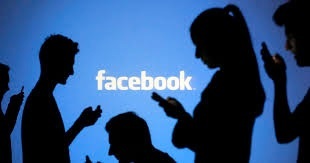 Now it is believed that the organic reach of Facebook is around 3%. It simply means that if your Facebook business page has 1000 followers, any post that you tend to share on your profile might reach a maximum of 30 people, not the complete 1000 people. If you have a lesser number of followers then your post is simply invisible given the proportions. So if you think you can randomly post on your Facebook profile & it will still reach all your followers you are WRONG! The best way to go forward is to “Post with Intent”. Have a reason to post, don’t just choose a festival to post seasons greetings but choose to post more regularly & consistently. The more people engage with your posts the better the reach will be as per Facebook’s algorithm. All these platforms always look to distribute the best-engaged content with the users so the more often you post & the regularity will make sure that the engaged audience comes back on your profile. You can use Facebook Insights to determine what content works best & at what time for your page’s specific audience. Small Business Owners are generally confused between a Business page & their Personal profile. They are the face of the company & handle multiple roles in their business so they think they should use their personal profile to post regarding their business too after all their friends will be on their personal profile right? That is an absolute blunder. As a Business owner the quicker you segregate yourself from your brand the easier your life will be. Your Business is not to cater to your friends but to gather a new audience who will ultimately buy from you. So start with a Business Page on Facebook from day1. A Business Page also has many more features that are perfect for a business than your Personal Profile does so use this to your opportunity. 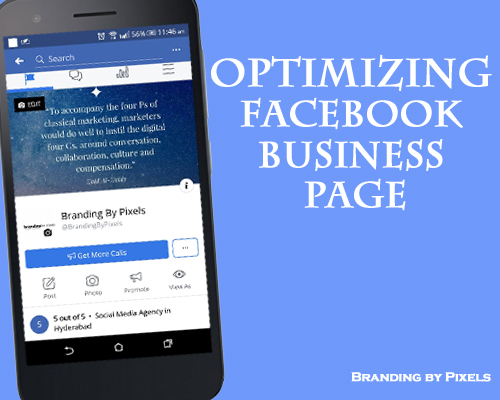 Understand that a Business Page is more professional looking than a Personal profile & that Facebook treats a Business Page separately from users Personal profiles. It gives you opportunities to set your target audiences & country details on your page to distribute your content to the most appropriate target customers who will one day become your paid customers. Also, the templates for Business Page that Facebook has are very specific to your business domain. It has separate templates for E-commerce based businesses, Restaurants, Service-based businesses etc. It’s absolutely FREE to create a Business Page so go ahead & create one today. Once you understand the steps 1 & 2 you will learn that Facebook as a platform is all about engagement. If your post keeps people interested there is more engagement & when Facebook’s algorithm registers that a certain post of yours is getting more engagement it will be served to more followers of your page. But for this to happen you need to understand what content works best for your page audiences & to understand it you need to push more content in a variety of formats. As Small Business owners you can hardly find the time to do all the things that your business demands to create content consistently on Facebook is the LAST thing on your list. That is when “Content Calendar” helps. 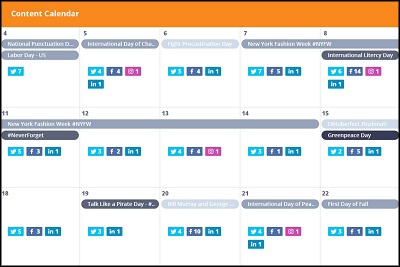 Content Calendar helps you to plan & arrange content as per the day of the week. You might plan to create accounts & manage on certain social media platforms only but even then planning for them helps. The above image shows an example of how you can plan for content at the start of the week so you don’t have to search for ideas on that particular day. Trust us with this your life & content will be so much easier to live by. Great, you have created a Business Page & you have planned for your content using the Content Calendar what next? You need to Optimise your Business page for your audiences. What do we mean by Optimising? It simply means that your business page has relevant information stacked properly so you can instil confidence in your visitors that your business is genuine. Though Facebook provides Business page templates you need to use some logical progression to re-arrange the different tabs of the template. 1. 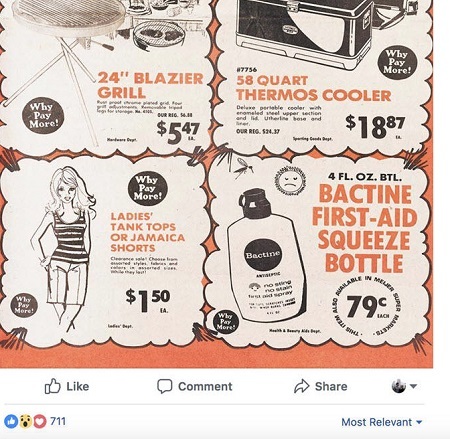 For E-commerce business have the shop feature enabled with your product images right at the top of the page because you are there on Facebook to sell? 2. For a Service-based business enabling “Reviews” tab is the best way to create instant credibility for your visitors. There is an old saying: “People HATE to be sold but they LOVE to buy.” Though it seems a little controversial this cannot be truer than in the 21st-century world of social media. You should make sure that the content that you post is informative, not Salesy. Try to educate your visitors & your followers regarding your products or services, your USPs don’t ask them for a sale right from post 1. 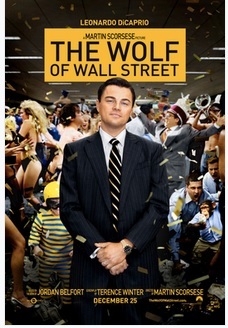 Like “Leonardo DiCaprio” in the movie “The Wolf of Wall Street” inspire your visitors & followers to buy from you by providing them value addition not by being salesy. You can do this best by content, make your content communicate this on your behalf. 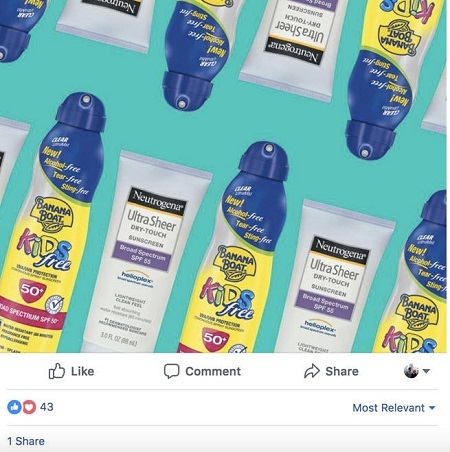 For example, this poster for a sunscreen company is too salesy & this is shown by the engagement that it got. From an engagement of 43 likes to 711 likes & from 1 share to 178 shares you can see the difference yourself. Just like Instagram, Facebook has launched “Facebook Stories” & like any new feature, this is trending currently on Facebook. To increase your engagement make sure that you post videos on Facebook stories too rather than just post on your Business Page. You don’t always have to add content regarding your product/service/company but Stories give you an opportunity to add more fun related & interactive stuff to ensure that your visitors pursue you as a personality induced company not just as a corporate. So make the most of this feature. 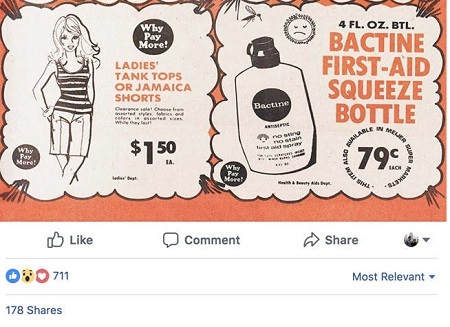 Smaller brands can lean on Facebook to help them deal with any customer service issues that arise much as corporations use bots to communicate with clients online. 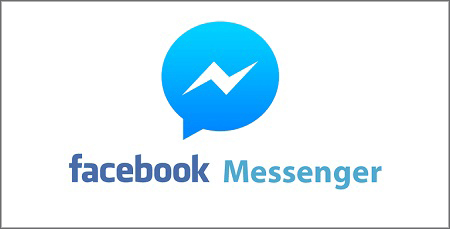 Use the Facebook Messenger chat service on your Business page to communicate directly with visitors & customers to help give better service to them within minutes of their queries. Alternatively, you can also set up “Automatic Replies” to increase your responsiveness on Facebook thus increasing credibility, trust & ultimately sales. 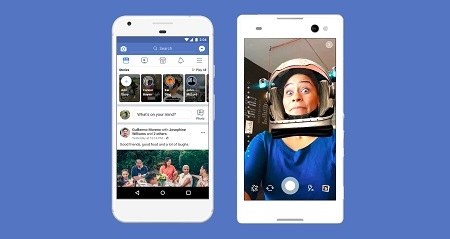 Facebook is the most affordable platform right now to place ads. As mentioned earlier Organic Reach is hard to get. So set aside a small budget to invest in Inorganic methods like Paid advertisements to reach the potential target customers. 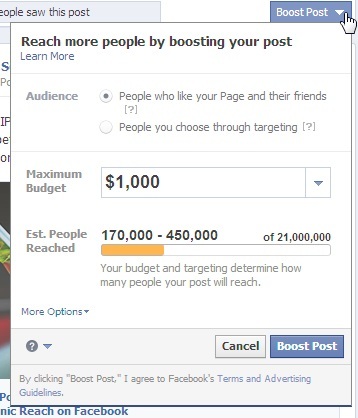 Start with a simple objective like “Boost Post” to different audiences. If yours is a physical store you can start by running a Boost post ad around your store of a geography radius & check how it performs. The fact of the matter is “Everyone” is NOT your customer. There are certain people who will buy from you & the quicker you know this the easier it is to identify this segment so we can only target them. For example, in my business, I have seen that 90% of my customers are first-generation entrepreneurs who understand the challenge of marketing & trust that digital is the way to go. So Narrow your Audience, try to learn who are the 20% of your customers that are generating 80% of your revenues. Whenever there is a question on Paid ads on Facebook the first objective that most Small Business owners concentrate on are “Likes”. They choose the Business objective accordingly & think that Paid Likes is the best way to generate business through paid ads. That is far from true. 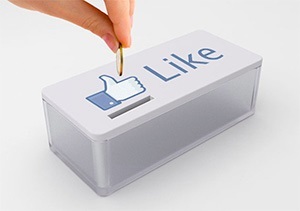 Paid Likes is a Useless metric. People that might like your page today because of an ad that you may not be active users of your product or service, they just liked it because the ad was interesting. Don’t run an ad to feel good, run ads that will get you sales in the near future. Reach out if you have any questions on the above.